Hi. 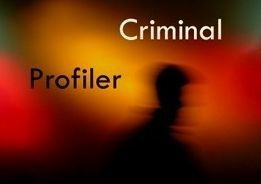 I have always been fascinated with the mindset and backgrounds of serial killers and the older I get the more I realize that I would like to be a criminal profiler. I want to pick apart these killers myself and solve the mysteries and see what makes them "tick." I have a BA in History and am currently working on my Master's in Human Resource Management so this would be a complete career change, but it'd make me happy. The thing I'm concerned with is that I use an electric wheelchair to get around. I can walk but very limited distance and I'm wondering if I absolutely HAVE to have FBI experience? Can I get FBI experience without having to chase purps and dodge bullets? What concessions could be made according to the ADA?